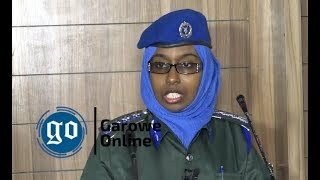 GAROWE, Puntland - A heavy fighting between Puntland and Somaliland forces broke out Tuesday, May 15 on the outskirts of Tukaraq town in Sool region, north of Somalia, Garowe Online reports. 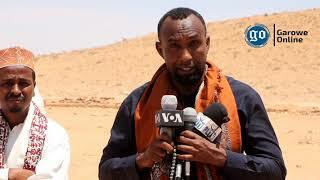 The battle erupted after Puntland troops at frontline came under ambush assault from the breakaway Somaliland soldiers early in the morning, according to the local residents. 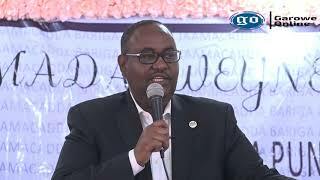 It's not yet clear the exact figures of the casualties on both warring sides, but, Puntland's Minister of Information, Abdi Hersi Ali "Qarjab" said the state troops managed to repel the attack and push back Somaliland armed forces. 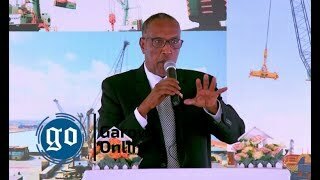 The minister has accused Somaliland administration of starting the fight, adding that Puntland claimed victory in their latest gun battle with invading troops near the town of Tukaraq located in the northern disputed Sool region. On the other hand, Somaliland army officials said they encountered multi-front counter-offensive from Puntland state forces during the clashes which flared up on Tuesday morning. 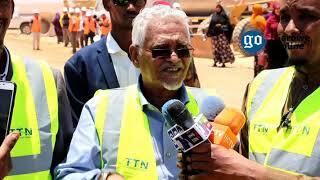 The tension in Tukaraq has been simmering in the past three months after Somaliland regional troops have seized control of the strategic town last January following an incursion against Puntland Defense forces stationed there. The skirmish comes amid mediation efforts by UN's envoy for Somalia, Michael Keating who met this week with leaders of both states on a mission to de-escalate the tension and avert bloodshed in the already volatile region. During talks in Hargeisa, Keating has called on Somaliland to withdraw its troops from Tukaraq, a demand that the breakaway regional leaders have rejected, arguing their troop presence in the town was legalized by parliament. Puntland and Somaliland fought sporadic battles since 2002 over the control of disputed regions in northern Somalia.